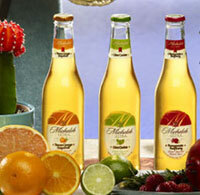 Anheuser-Busch has rolled out three fruit-flavored versions of its Michelob Ultra brand. The three flavors – Pomegranate Raspberry, Lime Cactus and Tuscan Orange Grapefruit – will be available through Labor Day. They are sold in 12-bottle packs featuring all three varieties, and in single-flavor six-packs. – A-B has also brewed an all-malt Bohemian pilsner for the Florida market – an extension of its program to brew regional beers in its regional breweries. Tarpon Spoon is brewed with two-row malt and a touch of toasted malt. It is spiced using Saaz and Tettnanger hops. Oh for the love of beer. Can I have any more distain for A-B? why not just freeze it and put it on a stick? Looks like the rich getting richer to me. All beer is good….well, except for the at one skunky thing I had back in college. Wasn’t my fault. They made me drink it. Thanks. Fruit flies are also attracted to rotting bananas, potatoes, onions and other unrefrigerated produce purchased at the grocery store. Fruit flies can be a problem year round, but are especially common during late summer/fall because they are attracted to ripened or fermenting fruits and vegetables. Pingback: How does ampicillin work.